The playground looks fantastic; you’ve done a really good job and the staff are very pleased as am I. Thanks again Tom for excellent service! 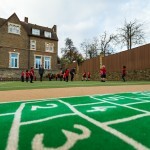 For Chestnut Grove Academy in Balham, Bradleys Surfacing Systems produced a high quality job – on time and to budget. I would certainly use them for any future projects. 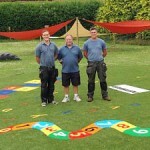 Your guys did an amazing job last week – the playground looks brilliant!!! 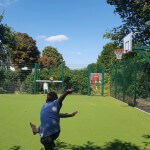 At St John the Baptist Catholic Primary School, we wanted to transform a tired and unused internal courtyard area into a vibrant outdoor space and that aim has certainly been achieved. 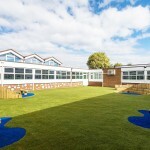 We now have a visually interesting and very useable outdoor learning space which the children absolutely love. The quality of materials and workmanship is excellent and the whole process from design to completion was well organised, safe and efficient. All of our many visitors positively comment about this new space, which really has created a buzz in our school community. Our vision and brief was clearly translated by Bradleys Surfacing Systems and we couldn’t be happier with the finished result. I needed a seam repair completing to our 3g pitch on campus. Bradleys Surfacing Systems were very accommodating, reliable and cost effective, completing the work quickly at a very busy time for us. 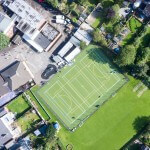 Bradley’s Surfacing have equipped our school with an excellent all weather cricket pitch within a very small window of opportunity. 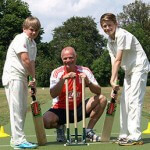 Tom and his team worked tirelessly to meet our deadlines with the quality of the wicket a testament to their skills. We look forward to working with you again soon in the near future. 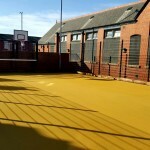 The installation of the MUGA at Reddish Hall School in Stockport was completed on time and within budget, with the works carried out without affecting the normal day to day operations of the site or surrounding properties. Communication and cooperation between Bradleys Surfacing Systems and ourselves was well maintained from initial project conception through until sign off and HSE guidelines/compliance maintained throughout with no issues to report. Overall I would have no hesitation in recommending Bradleys and we are already investigating feasibility of utilising their services again. I have found Bradley Surfacing Systems to work in a collaborative and client focused manner. 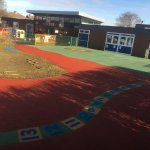 They are committed to providing a quality service, and have been very easy to work with throughout the duration of the project at Croft Academy. I have been very impressed with the attitude and works completed by the Bradleys team. 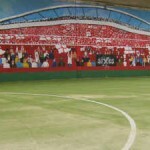 The team worked to a strict deadline and got on with the job. They offered plenty of advise and called to do a revisit after the works were completed. I would gladly recommend anyone to use your services. We’ve had comments by visiting teams about how well laid the surfacing on the court is. It was put down very quickly and left very little mess. I would recommend Tom and the team for future projects and would be happy to speak to any future clients on his behalf. 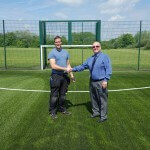 From initial costing to handover of our newly laid 3G playing surface, Tom and his team at Bradleys Surfacing Systems have provided a first class professional service. 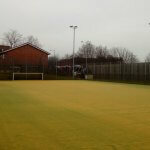 With minimum disruption to users of our premises and total co-operation with Town Council staff and members, Bradleys Surfacing Systems completely renewed our synthetic playing surface and we now have a facility which is second to none in the area. Many thanks to Tom and all his team! When we were looking to raise funding for the club, the LTA weren’t in a position to provide us with the money required, so we had to explore other avenues. 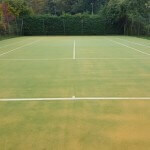 We have a predominately elderly demographic at the club who find the tarmac hard on their knees and hips, so the principle driver for refurbing the courts was to find a safer and softer surface for them to play tennis on. It’s fantastic that the local community rallied together to support Lenches to help raise the money to make these changes to the club which they can enjoy now and in the future. 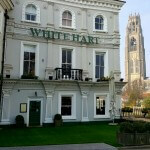 Installing the synthetic grass surface to the front patio area of the White Hart Hotel has given sales a real boost. It gave us an instant garden for our brides to have their photos taken in and our day to day customers just love sitting in the space. The space now feels special; we just wish we had installed it earlier. 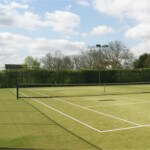 Bradleys have just finished a complete renovation of our two carpeted tennis courts. They did a splendid job which came in on time and on budget. We will certainly to use them again! As a registered charity with limited resources, it was essential that we found the right contractor who could deliver a top quality product at an affordable price. 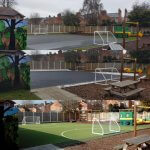 Bradleys Surfacing Systems were, for me, streets ahead of the competition and dealing with Tom from enquiry through sale to construction and completion made project management as easy and straightforward as it could ever be. 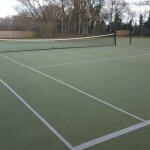 In order to prepare our courts for the summer ahead, we employed Bradleys Surfacing Systems to carry out our annual court maintenance. We found the company flexible, efficient and the cost effective rejuvenation solution provided has been well suited to our needs. 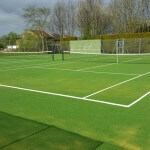 I would recommend them to any tennis club looking to have specialist maintenance works carried out. 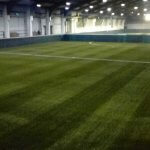 Bradleys were contacted by Sixies Indoor Football Centre, Kingswinford to resurface an existing 6 a side pitch at the centre. 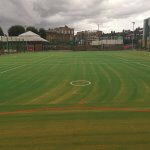 As part of ongoing investment in the facilities at Sixes Football Centre, we required one of our pitches to be resurfaced. 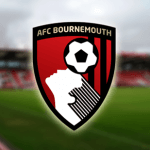 Bradleys Surfacing Systems had been maintaining our surfaces for a couple years prior and when it came to selecting a company to resurface the pitch, they were our first choice. They carried out the work at times that caused the least disruption to our clients; the installation was completed on schedule and in the most professional manner. They are a great company to work with and I would highly recommend them. We have found surfacing systems to be reliable, efficient and reasonably priced and would thoroughly recommend them. We chose Bradleys after having two other quotations and we are so pleased we did so. 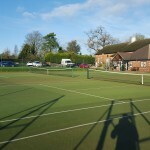 We had an old worn-out hard court and now have a lovely new carpeted one which is a joy to play on. We are getting on a bit and the thought of falling on a hard court is always at the back of your mind. Now that fear has completely gone and our game seems to have stepped up.The work was carried out with great good humour and politeness. We would most strongly recommend Bradleys. What a top job! From initial enquiry, through to design consultation and then installation, Tom and his team have been professional throughout. 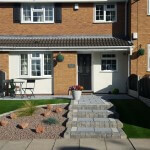 Bradleys Surfacing Systems had previously installed artificial grass at my sisters property in 2013 and she was very pleased with the results. I contacted Tom to do my garden and he was very helpful from the outset. The work was done quickly and efficiently with no mess left behind! Tom has always been contactable and dealt with any issues very promptly. 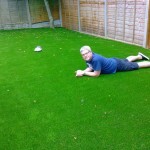 I am extremely pleased with the end result, and happy to recommend Tom and Bradleys Surfacing Systems to anyone thinking of having artificial grass installed. 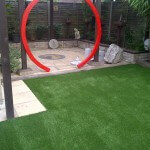 We’d been looking to have an artificial lawn installed for over a year, but couldn’t find the right person to carry out the work for us. 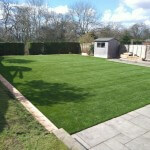 After a referral Mr Bradley came and showed us some samples and gave us a price, two weeks later the lawn was installed. The work was completed in a single day, it was delightful to come home from work and see it all finished our dog ‘Cookie’ also approves. Ever since we moved into our house 5 years ago, the grass has not looked good! We re-turfed when we first moved in, but it didn’t really take well – our garden borders a park with lots of trees and the ground is so dry we can barely grow anything successfully, including the grass. Adding to that, three young children and their friends who play outside at any opportunity, we ended up with a very muddy, patchy, unsightly play area, which we weren’t happy about. In fact, we were quite embarrassed about it when people came round. We shopped around a bit for artificial grass and came across Bradley’s website. Their prices were very competitive and Tom was friendly and helpful, so we chose them. We happened to be going on holiday, so we arranged for the work to be done while we were away. What a transformation! We were absolutely delighted with it when we came home! It looks great and the children love playing on it. 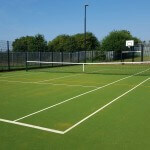 It’s soft if they fall and, best of all, no mud!We would highly recommend surfacing systems – its money well spent. The guys from Bradleys Surfacing Systems turned up early and got to work on my lawn straight away. It was obvious from the way they went about their job they were very professional and experienced. In no time the old grass was up and away and the area levelled and compacted. The membranes went down and the grass was laid, and finished. The two chaps who worked on my grass were very fast, they hardly stopped from the moment they arrived and got on with the job. After it was finished they cleaned the place up to a good standard and left me with a brand new synthetic lawn that both myself and my family will enjoy for years to come. 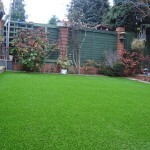 I would not hesitate in recommending them to anyone who is interested in having a new synthetic lawn laid, it looks immaculate and I don’t have to mow it ever again! !